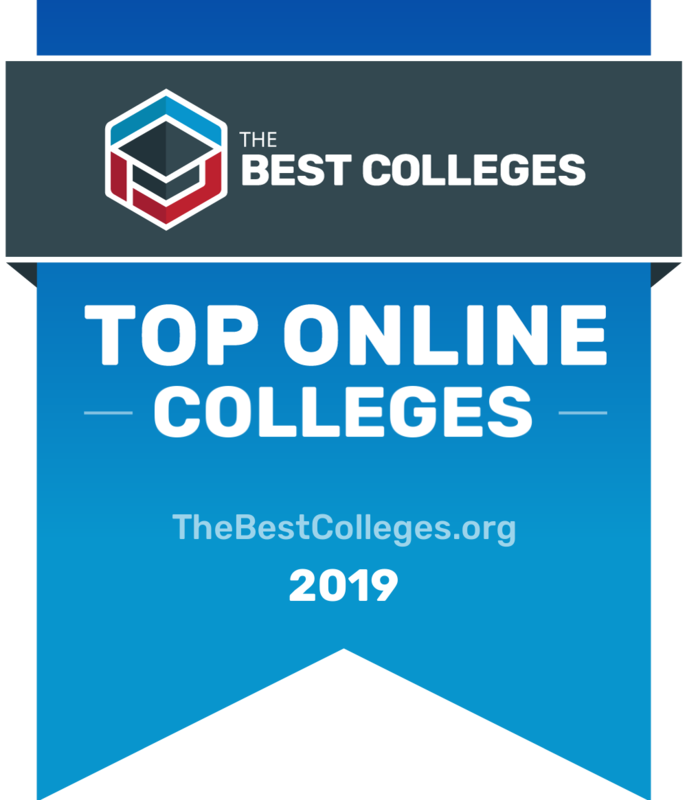 In our 2019 edition of The Best Colleges' Top 50 Colleges and Universities in America, we aim to create a college ranking that exceeds all others in focusing on what really matters to students and their families. Beyond investigating standard indicators of academic quality and student satisfaction used by other major ranking systems, we've also considered indicators such as the economic value of good colleges and the quality of life offered by its host city or town. The quality of the social and economic opportunities available to a person in their lifetime will largely be determined by whether they choose to go to college and where. To choose a college is to choose a future. This is why a college education is referred to by many as an investment. Students and their families spend large amounts of money on tuition, fees, books, and living expenses, not to mention time and effort expecting to get something invaluable in return. Most students want to know they will receive a high-quality education where they can get individualized attention from professors. They want to know they are at a college that inspires others to flock to their programs and follow through to the end. Most also want to be sure that where they will be living for the next four (or more) years will be a place where they can collaborate and connect with other educated people near their own age -- and not have to go broke doing it. In generating our rankings, The Best Colleges awarded schools with competitive admissions and a low student-to-faculty ratio. Schools with high enrollment, retention, and graduation rates were also sought out, specifically those in locations with a lower cost of living. The median age and number of residents with higher education degrees was also assessed and taken into consideration. Finally, as we continue a gradual return to a stable economy, students and those who support them want to know that when they graduate they won't be overburdened by student loan debt and can potentially earn a livable income. For this, The Best Colleges awarded colleges with low tuition, generous financial aid, and a track record of graduating students who go on to make a living in their field, both immediately following graduation and later down the road. In total, The Best Colleges measured each school across a dozen different data points to assign an overall score to each school. A more detailed explanation of our ranking methodology and data sources can be found by clicking here. Before moving on to the rankings, a few notes to help navigate the list: Underneath each school's name is a brief introduction, as well as information about the city or town in which the school is located. Below that is the school's classification, setting, population, and student-to-faculty ratio. Clicking on the magnifying glass icon next to the "student-to-teacher ratio" of a school will expand to display additional information on the school and its location. The entire list of top colleges and universities can be expanded or collapsed by clicking the "expand all" or "collapse all" buttons at the top of the rankings list. These criteria ensured that only top colleges and universities of significant reputation and recognition within the marketplace were included. Because of their specialized programs and unique mission, military academies were not included in this rankings pool. What Are the Best Colleges & Universities in America? This traditional academic powerhouse is also a forward-thinking pioneer in financial aid reform, becoming the first major American university to replace all need-based student loan packages with scholarships and grants. Princeton, NJ is a wealthy, highly educated but somewhat expensive town frequently rated one of the top places to live in America. The oldest and most prestigious institution of higher education in America needs little introduction. However, some may not be aware of the school’s recent efforts to reduce the economic barriers for prospective low-income students, offering a free ride to students of families making less than $60K a year. Not surprisingly, Cambridge, MA is one of the most highly educated cities in the country and offers students easy access to Boston’s historical and cultural riches. Though no longer officially tied to its Quaker heritage, one of America’s first co-ed schools retains its legacy of social activism, including the “no-loans movement,” which ensures all students not only have access to a high quality college education regardless of financial need, but don’t have to go into debt to get it. Residents of the wealthy Philadelphia suburb of Swarthmore, PA enjoy a reasonable cost of living and easy access to the big city. With emphases in engineering, technology, and computer science, students receive one of the most rigorous and challenging educational experiences available at MIT. One of the top colleges in the U.S., MIT offers a generous financial aid program that covers 100% of tuition and fees through scholarships and grants for students from families making less than $75K. Named after that famous university across the Atlantic, Cambridge, MA is a highly educated but expensive city in close proximity to Boston. America’s oldest public university offers an Ivy League education at a public school price, committed to ensuring low- and middle-income Virginian students are able to graduate debt-free. Located in historic Williamsburg, VA, students can take advantage of the beautiful surroundings and a below-average cost of living. Through Oxbridge-style tutorials that emphasize student participation and direct engagement with professors, this rigorous liberal arts college also promises students a financial aid package covering all demonstrated need. A small, picturesque college town, Williamstown, MA is home to a relatively young and highly educated population. This modestly sized liberal arts college is as liberal with its academics as with its financial aid, allowing students to take whatever courses they want and in any order, while also meeting all demonstrated financial need through grants and scholarships. The town of Amherst, MA is located in the “happy valley” region, known for its highly educated, artistically inclined and socially progressive population. This established world leader in computer science, mathematics, and other left-brain subjects also offers a top-notch liberal arts education to those of modest means through its “no-loans” aid program, which waives tuition for students from families making less than six figures. Immediately adjacent to the city of Palo Alto and anchoring Silicon Valley, it’s not surprising that Stanford, CA has one of the most tech savvy and highly educated populations in the U.S. This former vocational school turned science and engineering powerhouse employs a need-blind admissions policy and graduates students with one of the lowest average debt amounts and among the highest starting salaries. Best known for hosting the Rose Bowl and Tournament of Roses Parade, Pasadena, CA is a moderately expensive city, home to the NASA Jet Propulsion Lab and a sizable population of non-indigenous parrots. The school that produced more presidential candidates in the last three decades than any other caters to more than just the upper crust, joining a select few need-blind-admissions universities committed to meeting every student’s demonstrated financial need. New Haven, CT is pretty pricey, but boasts loads of distinctive, historic architecture, including Hillhouse Avenue, “the most beautiful street in America” according to Charles Dickens. The prestigious Ivy League university born of the mind of Benjamin Franklin carries forward Franklin’s vision of increasing access to a practical liberal arts education through a recently expanded “no-loan” financial aid policy. The City of Brotherly Love, Philadelphia, PA, is relatively average in terms of cost, but offers students a host of historical sites and cultural opportunities. The oldest public university in the United States is one of the original “Public Ivies,” offering a top-quality education accessible to a broad range of students, now made even more accessible through the innovative “Carolina Covenant” program, which guarantees qualified lower-income students the opportunity to graduate debt-free. An historic but youthful and low-cost town, Chapel Hill, NC boasts abundant natural beauty and a vibrant music scene. Known for its outstanding academics and prowess on the basketball court, Duke University’s need-blind and full-need aid policies mean just about anyone with the smarts to get in can afford to study amongst the beautiful Gothic buildings of this elite Southern school. KA former tobacco town, Durham, NC has undergone a significant downtown revitalization in recent years, offering exceptional cultural opportunities to go along with a relatively low cost of living. Still partially funded by George Washington’s initial $20,000 investment, this historic liberal arts college combines strong academics with a call to personal character, embodied in an unwritten, student-administered code of honor. The birthplace of Sam Houston and final resting place of General Lee and Stonewall Jackson, Lexington, VA is a historically rich city with a relatively young population and exceptionally low cost of living. Thomas Jefferson’s brainchild is a standout among public universities, attracting some of America’s best and brightest while guaranteeing full funding for all students and no debt for those with the most outstanding need. The hometown of Thomas Jefferson and James Madison, Charlottesville, VA offers students high historical value at a very low cost of living. This urban university includes a campus designated as a national arboretum, offering students not only beautiful surroundings, but also the opportunity to do so entirely debt-free through a full-need, no-loan financial aid policy. In addition to the “Music City”‘s outstanding music, dining, and cultural opportunities, Nashville, TN offers students an exceptionally low cost of living. Named for the toothpaste magnate, this former Baptist seminary turned non-sectarian liberal arts college has made great strides in recent years, opening up its top-notch academic programs to a more socially and economically diverse population, as well as promising to meet the demonstrated financial need of all students. A quaint, cozy village with a relatively young and highly educated population, the town of Hamilton, NY is only slightly larger than the University itself. A small research university known for its programs in the applied sciences, the school also embodies a strong commitment to undergraduate education, adopting a residential college system with a student-enforced Honor Code that allows for all tests and exams to be taken home and completed unsupervised and at the student’s convenience. Students on the large wooded campus near the Houston, TX Museum District have easy access to the amenities of the massive and relatively low-cost city. This small Ivy League research university places a strong emphasis on undergraduate education and offers a “no-loan” financial aid policy for students from families making less than $100K, as well as zero family contribution for students from families making less than $60K. An inexpensive place to live, Providence, RI is the state capital and boasts more coffee shops and restaurants per capita than any other city in the U.S.
Pomona offers the institutional resources of a large university (through its membership in the Claremont University Consortium) while remaining a small, academically challenging liberal arts college. The school recently adopted a “no-loans” financial aid policy, meeting all demonstrated student financial need through grants and scholarships. One of the original “Public Ivies” offers comparable academic quality and many of the amenities of much more expensive schools while continuing to open up greater access to lower income students. The school’s M-Pact program, for example, replaces student loans with grants for those with the greatest need. With a reputation for being socially progressive, Ann Arbor, MI has been recognized as one of the best small cities to live in, offering its highly educated population a lower-than-average cost of living, among other unique amenities. This unique institution of higher education focuses exclusively on architecture, engineering, and the fine arts, while maintaining the vision of its founder for education being as “free as air and water.” A full scholarship is offered to every student admitted. t may be crowded and expensive, but New York, NY is also one of the most interesting and exciting places to live for students who are drawn to urban life. The one-time hotbed of student activism still offers students diverse opportunities for self-expression, as well as one of the most outstanding undergraduate educations in the world, at a public-school price. Located on the San Francisco Bay, Berkeley, CA is a highly educated and relatively expensive city with a reputation as one of the most politically liberal atmospheres in the country. The smallest of the Ivy League schools is big on quality and generous with financial aid, as one of only seven institutions of higher education in the world to practice need-blind admissions and meet the full financial need of all students, including internationals. A young, diverse, and highly educated small town, Hanover, NH is frequently rated one of the top places to live in America. Pursuing the ideals embodied in its motto, “Civilization prospers with commerce,” this small liberal arts college emphasizes government, economics, and international affairs programs, and practices a full-need, no-loan financial aid policy. As part of the Claremont University Consortium, the college shares a campus and facilities with six other higher education institutions in the highly educated and relatively expensive town of Claremont, CA. Texas’ oldest public university has a heart as big as its massive campus and student body, offering a full-need, no-loan financial aid package to qualified Texas student from families making less than $60K a year. A youthful and highly educated town, College Station, TX offers country flavor in a conservative atmosphere and an exceptionally low cost of living. This former farming school has developed into a world leader in science and engineering research. The school has also expanded opportunities for qualified low- and middle-income California students by covering the cost of tuition and fees of students from families making less than $80K a year. One of the most highly educated cities in America, Davis, CA is known for its liberal politics and bike-friendly streets, and also manages to keep its cost of living relatively low. One of the nation’s few public technology institutions, Georgia Institute of Technology has a global reputation for its science and engineering programs, and works to make sure promising Georgia students from low-income families have the opportunity to graduate debt-free. Atlanta, GA is a low-cost, cosmopolitan city known for its cultural diversity and business-friendly climate. This small college doesn’t have the public profile of some comparable schools, but offers students an outstanding liberal arts education with the opportunity to design their own majors. Davidson was among the first liberal arts colleges to implement a full-need, no-loan financial aid policy. A quaint, wealthy and highly educated college town, Davidson, NC offers both Southern charm and a very low cost of living. The nation’s flagship Catholic university offers students a world-class education within a strongly religious environment. The university also practices a need-blind/full-need approach to admissions and aid, with a commitment to keeping student debt as low as possible. South Bend, IN, only about an hour from the big city of Chicago, offers students an extremely low cost of living. An Ivy League school with a historical commitment to professional studies and equal access, Cornell requires no financial contribution from families making less than $60K. It also meets the full financial need of all students, with no loans for families making less than $75K and offering extremely reasonable loan caps for families who make more. A small city with a college-town feel, the moderately expensive Ithaca, NY hosts a highly educated population and a vibrant cultural scene. Sharing a campus and facilities with other Claremont colleges, this tiny liberal arts school maintains an exclusive focus on science, engineering and mathematics, and its graduates tend to earn a higher income than any other school in the area. A wealthy college town at the base of the San Gabriel Mountains, Claremont, CA has a highly educated population and a relatively high cost of living to match. The home of the oldest student-run pub, Carleton offers students an exceptional liberal arts education and a generous full-need financial aid program, covering the majority of tuition costs through grants and scholarships. Famous as the almost-but-thwarted site of one of the Jesse James Gang’s last bank robberies, Northfield, MN is a college town on the Cannon River with a relatively young population and an extremely low cost of living. The largest private liberal arts college in America has strengths in engineering and environmental sciences, drawing on its size to offer a wider variety of courses and research opportunities than most other comparable liberal arts schools. Lewisburg, PA is a historic rural borough on the Susquehanna River, home to a youthful population and low cost of living. Among the oldest and largest universities on the West Coast, this highly regarded “Public Ivy” guarantees a full ride to low-income Washingtonians through its “Husky Promise” program. One of the nation’s most educated large cities, Seattle, WA is a haven for espresso aficionados and indie rock lovers everywhere. One of the premier public universities in the nation, University of Florida has taken consistent steps to increase accessibility to economically disadvantaged students, joining a handful of other schools around the country in eliminating early admissions that don’t allow students time to evaluate financial aid offers before making a decision. Frequently recognized as one of the best places to live in America, Gainesville, FL is a youthful city with a remarkably low cost of living. One of the original “Public Ivies,” Texas’ largest university also has the largest endowment of any other public university in the nation, allowing it to offer outstanding research opportunities in addition to being generous with financial aid. Billed as “The Live Music Capital of the World,” Austin, TX is a youthful and active city with an eclectic personality and reasonable cost of living. The first university with its own airport and an established leader in aviation, aerospace and engineering, Purdue has graduated more aviators and astronauts, including both the first man and the last man to walk on the moon, than any other university. West Lafayette, IN is an inexpensive, youthful and highly educated suburban city overlooking the Wabash River. This big city school with a strong academic reputation also practices need-blind admissions and is committed to meet the full demonstrated financial need of every student for the entirety of their undergraduate career. For those who love big city life, it’s hard to top Chicago, IL, billed “the most American of big cities” with a relatively low cost of living. The alma mater of Nathaniel Hawthorne and Henry Wadsworth Longfellow is one of an increasing number of “SAT optional” schools, further expanding access to a more diverse population through its need-blind admissions and full-need, no-loan financial aid policy. Brunswick, ME is a small coastal town with a low cost of living and a long, rich history. With an outstanding global reputation for both academics and athletics, not to mention its glamorous location, the country’s most selective public university also receives more freshman applications than any other school in the U.S. The second largest city in the nation, Los Angeles, CA is a global leader in entertainment, fashion, culture, and business, though the cost of living is high. The first coeducational and racially integrated college in the American South caters especially to low-income students, offering an outstanding liberal arts education at no charge. The only requirement is that every student put in 10 hours of work at the school per week. The little town of Berea, KY is one of the country’s fastest growing locales, thanks in part to an exceptionally low cost of living and vibrant arts and crafts scene. A “Public Ivy” renowned especially for its science and engineering programs boasts the largest library of any public university. University of Illinois at Urbana-Champaign is committed to covering the costs of tuition, fees, room, board, books, and supplies for admitted Illinois students from families that are below the poverty line. The twin cities of Urbana and Champaign, IL (a.k.a. “Chambana”) have youthful, well-educated populations and a very low cost of living. This women’s college has graduated more female leaders of Fortune 500 companies than any other. Wellesley has also incorporated a need-blind admissions policy in recent years, making a commitment to meeting every student’s full demonstrated financial need, and replacing loans with scholarships for students with the greatest need. The highest-educated small town in America, Wellesley, MA is also extremely wealthy and expensive. This lakeside research university has strengths in journalism, communication, engineering, education, and music, but provides all students with a solid foundation in the liberal arts. Northwestern is also committed to meet 100% of demonstrated student need through grants, loans and scholarships. Evanston, IL is a highly educated, moderately wealthy city located on the banks of Lake Michigan and just minutes from downtown Chicago. This elite Ivy League university in the middle of the Big Apple is an academic powerhouse, responsible for awarding the Pulitzer Prize and boasting more Nobel Prize laureates than any other institution of higher education. If you can afford the high cost of living, there’s nothing like New York, NY, widely considered the financial and cultural capital of the world. North America’s oldest Catholic university emphasizes social justice in its curriculum as well as its admissions policy, taking a need-blind approach by committing to cover the full demonstrated financial need of all students through a combination of scholarships, grants, and loans. As the capital city of the United States, Washington, D.C. is abuzz with political and cultural activity, but also pretty pricey for those who can afford to live there. This prestigious research university known for hosting more presidential debates than any other institution has strengths in business, social work, medicine and law. Washington University also practices a full-need, no-loan financial aid policy for low-income students. Near the convergence of the Mississippi and Missouri rivers, St. Louis, MO offers inexpensive big city living and some of the best barbecue and blues tunes around. One of the oldest liberal arts colleges in the country, Middlebury College builds on a longstanding legacy of progressive thinking and policies. The college offers need-blind admissions and a commitment to meeting the full demonstrated financial need of all students. A small college town with a highly educated population and a low cost of living, Middlebury, VT is situated in a scenic valley between the Green Mountains and the Adirondacks. This Methodist research university with a strong emphasis on undergraduate liberal arts education also cultivates a commitment to service through through need-blind admissions as well as its Emory Advantage program, which eliminates or minimizes debt for low and middle-income students. The business and cultural hub of the American South, Atlanta, GA offers a low-cost, big city blend of Southern hospitality and global cosmopolitanism. The ideal college student is anyone who wants to learn. Some colleges have competitive admissions, but others have more open admission and all colleges offer academic support. Whatever a student's interests and passions, there is a college program available in those areas, so it's worth the time to do the research and try to find the best fit; this will help ensure that the experience is worthwhile and beneficial. From a numbers standpoint, college graduates earn more money than high school graduates. While the percentage fluctuates, in 2015 college graduates earned 56% more, which is the largest gap since 1973. College graduates are also more competitive when applying for jobs, and their job search may benefit from college resources such as career services or participating in an internship. One of the lesser-known benefits is networking, or meeting peers and faculty in a college program that may alert one another to future job opportunities. Some experts estimate that over 70% of people found their current job through networking. In addition to resources and experience, the college experience also teaches time management and organization as students learn how to budget their time between classes, extracurricular events, and employment. College graduates learn written and verbal communication skills through writing assignments and presentations, and group work teaches cooperation and collaboration. Even the out-of-classroom activities, such as intramural sports and service organizations, can teach students about community and leadership. What Can I Do With a College Degree? Programs exist for almost every interest and passion that a student might have, and there are many career options for college graduates. To be successful in any field, students should have effective communication skills and a strong work ethic, both of which are skills learned in college. Many of the careers listed here also require computer, analytic, and teamwork skills. Petroleum engineers can work in research or for universities, but most work for oil companies. These engineers devise the methods for extracting oil and gas, including the storage, pumping, and drilling. Petroleum engineers may have to work overtime and should be able to work with people from many backgrounds. One of the reasons actuaries have such a high income is that they must pass a series of exams to become certified. In addition to math skills, they also need to have skills in business, financial theory, and statistics. They should also have strong analytical and problem-solving skills. People who work in actuarial science may also be called actuarial analysts. These analysts use modeling and statistics to assess the risk of different events. Many employers prefer actuarial scientists to have passed two or more Society of Actuaries exams. Analysts should have effective communication skills. Nuclear engineers can work in a variety of fields, such as designing equipment and instruments, performing experiments, studying nuclear energy, and monitoring nuclear facilities. Generally, a master's degree or doctorate is required. These engineers must have well-developed communication skills and be familiar with specific software and codes. Chemical engineers often develop chemicals such as lubricants, cleaning products, and fuels. They can work in a variety of settings including in the field, an office, or a factory. Many engineers complete an internship in college before moving into work where tasks may involve testing, developing safety procedures, performing project estimates, and conducting research. These engineers design and develop new marine equipment and maintain existing vessels. They may specialize in areas such as passenger boats, battleships, cruise ships, or aircraft carriers. Often employed by the military or private organizations, these engineers usually need to have a bachelor's degree and robust computer, communication, and teamwork skills. Economists advise organizations on areas including energy, health, tax rates, and international trade. They may also work with data collection, compiling reports, and conducting research. Economists should hold at least a bachelor's degree, but those who want to work in academia should obtain a graduate degree. They should also have sound computer and analytical skills. Geophysicist positions associated with seismic interpretation and data analysis tend to have the higher salaries. Other options include the study of the Earth with seismic, electrical, and gravitational methods. They may work in computer data modeling in an office setting or outdoors performing tests and studies. Most geophysicists have a bachelor's degree in earth sciences, physical sciences, or a similar area. Cognitive scientists work to understand the human mind. These scientists need multidisciplinary skills in areas including computer science, psychology, mathematics, artificial intelligence, linguistics, and neuroscience. Cognitive scientists should have excellent technical, verbal, and written communication skills. Electrical engineers need at least a bachelor's degree, and some employers may require a master's degree or doctorate. Power engineers work with electrical operations, evaluate power systems, and may also work with renewable energy. These engineers must have exceptional communication and teamwork skills. When students are choosing a college, they should first consider whether they want to attend a community college for an associate degree or four-year college for a bachelor's degree. To qualify for federal aid, ensure that colleges of interest are either regionally or nationally accredited. Tuition is a crucial factor for many students and will vary based on the type of institution chosen and the scholarships available. Other costs to consider are books, transportation, and the cost of living in the area where the college is located. Some students might stay close to home while others may be interested in leaving their city, state, or region. Additionally, many colleges offer online programs, which benefit students who need a flexible college schedule. Ensure that specific programs of interest are available at the colleges under consideration. Check out their curriculum and see what classes are available. Some programs offer specializations as well. Most institutions allow students to choose whether to attend full or part time, although that will affect the length of time it will take to complete the degree as well as the amount of financial assistance you may be eligible for. Programs usually conclude with a either a written thesis or a practicum. The former allows students to demonstrate everything learned in the program, while the latter provides real-world experience prior to graduation. Free Application for Federal Student Aid: The FAFSA should be completed by every student who plans to attend college. This application provides students the chance to qualify for loans and work-study programs, and the results are often used by institutions to determine eligibility for need-based scholarships. U.S. Department of Education Database of Accredited Programs: This database allows students to search for accredited programs across the country and also lists all specialized accreditations held by an institution. Bureau of Labor Statistics: The BLS is a fantastic resource for learning more about prospective careers. Search the career of interest and learn salary range, job outlook, and the education and skills necessary for that career. Federal Student Aid: The Federal Student Aid website has answers to any questions students might have about financial assistance, including types, qualifications, and applications. Click on the type of aid and learn details about availability, eligibility, and how types of aid can impact one another. State Department of Education: State education departments usually have information about the state's college and university system as well as state-specific grants and scholarships. A college education is among the largest and most important investments of time, effort, and money many Americans will make in their lives. The Best Colleges ranking of the 50 top colleges and universities in America for 2018 aims to guide undergraduate students and their parents in making a wise investments toward a brighter future at the college or online college program of their choice. The schools on our list endured a rigorous selection process and were objectively evaluated across 12 unique data points in four different categories: economic value, quality of life, academic quality, and student satisfaction. Subjective decisions were limited to which data points to consider and how much weight should be given to each. To be included in our rankings pool, a school must be a four-year, bachelor's degree-granting liberal arts college or university in the U.S. Reputable colleges must have ranked at least once in the last year among the top 50 in another major American ranking system, such as U.S. News & World Report, Forbes, Washington Monthly, or Newsweek. In ranking systems for the Salary Report, data was collected through a voluntary survey of full-time employees in the U.S. with a bachelor's degree. Salary data for each of the schools in our pool was standardized using Z-scores, then weighted to give it a 10% overall importance in the final ranking of top colleges. Real Cost: As the cost of a college education continues to climb, keeping costs and student loan debt low is more important to students and their families than ever. With that in mind, The Best Colleges awarded schools for having lower real costs. This was calculated by subtracting the average amount of freshmen financial aid from the estimated undergraduate student tuition and fees. Schools typically assess average financial aid amounts based on the tuition costs of the majority of their student body, with public schools drawing most of their students from in-state, so we subtracted the average aid amount from in-state tuition costs. Data on tuition, fees, and aid was taken from the Integrated Postsecondary Education Data System (IPEDS), the core postsecondary education data collection program of the National Center for Education Statistics (NCES) branch of the U.S. Department of Education. After determining the real cost, we standardized the data using Z-scores and weighted it 15% of overall importance in the final ranking. Median Starting Salary of Graduates: To get a sense of the value of a degree from any given college, the likely economic payoff should be a consideration. Students and their parents want to know that there is a well-paying job awaiting graduates in return for all their time, effort, dedication -- and cash. To this end, The Best Colleges awarded schools with higher starting salaries for recent graduates by collecting data on the median starting salary of college graduates from the 2016-2017 PayScaleU College Salary Report. Median Mid-Career Salary of Graduates: The salary of a college graduate several years into a career is just as important as their salary immediately after graduation. To this end, The Best Colleges awarded schools with higher mid-career salaries for graduates. We considered the median mid-career salaries of college graduates (10-19 years post-graduation) from the 2016-2017 PayScaleU College Salary Report. Data for the report was collected through a voluntary survey of full-time employees in the U.S. with a bachelor's degree. The salary data for each of the schools in our pool was standardized using Z-scores and then weighted to give it a 10% overall importance in the final ranking. Cost of Living Index: The Best Colleges measured the buying power of a student's dollar in a given location by using the cost-of-living index (COLI), a theoretical price index which measures the relative cost of living in a place based on the relative costs of goods and services. Schools were awarded for being in locations with a lower COLI. The COLI of each city/town came from City-Data.com, a private company which collects and analyzes data on thousands of U.S. locations. This COLI data was standardized using Z-scores and assigned a weight of 15% overall importance in the final ranking. Median Age of Population: Assuming most students prefer to live with and around other young people and appreciate the social and cultural opportunities therein, The Best Colleges awarded cities/towns with more youthful populations. Data on the median age of a city/town's population was taken from City-Data.com. Median age date for each of the cities/towns in our pool was standardized using Z-scores and assigned a weight of 5% overall importance in the final ranking. Median Household Income: Assuming most students prefer to live in areas populated by economically successful people, as this is often tied to greater social, cultural and economic opportunities, The Best Colleges awarded cities/towns with higher amounts of income wealth. Data on the median household income of a city/town's population was collected from City-Data.com. After median household income was collected, it was standardized using Z-scores and assigned a weight of 5% overall importance in the final ranking. Percentage of Population with College Degrees: Assuming that students prefer to live in places with well-educated populations, often leading to greater tolerance and more interesting social opportunities, The Best Colleges awarded cities/towns with a greater percentage of residents with college degrees. Data on the percentage of a town/city's residents with a bachelor's degree or higher was collected from City-Data.com. Percentage of population with college degrees was standardized using Z-scores and assigned a weight of 5% overall importance in the final ranking. Acceptance Rate: The quality of a college education is largely determined by the academic quality and competitiveness of the student body. Generally, the more stringent and selective a college's admissions process, the better the quality of its students. As a result, The Best Colleges awarded schools with lower acceptance rates. Data on acceptance rates was collected from the IPEDS database and standardized using Z-scores, then assigned a weight of 10% overall importance in the final ranking. Student-to-Faculty Ratio: Smaller class sizes and fewer students per professor equals more individualized attention and greater access to faculty during and after class, so The Best Colleges awarded schools with lower student-to-faculty ratios. The most recent student-to-faculty ratio data was collected from the IPEDS database and standardized using Z-scores, then assigned a weight of 10% overall importance in the final ranking. Enrollment Rate: Generally, students are happier and more satisfied at a school where they really want to be. As a result, The Best Colleges awarded schools with higher enrollment rates, which measure the percentage of admitted students who choose to enroll. In most cases, a higher enrollment rate indicates a school is more desirable to students who apply. The most recent data available on enrollment rates was collected from the IPEDS database. This data was then standardized using Z-scores and assigned a weight of 5% overall importance in the final ranking. Retention Rate: The freshman-to-sophomore retention rate measures the percentage of students who return to a school after their freshman year. We interpret this as a general measure of student satisfaction and awarded schools with higher retention rates. Data on enrollment rates was collected from the IPEDS database, standardized using Z-scores, and assigned a weight of 5% overall importance in the final ranking. Six-Year Graduation Rate: The six-year graduation rate measures the percentage of students who graduate from a school within six years of enrolling. We interpret this as a general measure of good colleges in terms of student satisfaction and awarded schools with higher graduation rates. Data on graduation rates was collected from the IPEDS database, standardized using Z-scores, and assigned a weight of 5% overall importance in the final ranking.